The Tasmanian tiger, or thylacine, has come to symbolise all things Tasmanian, from cricket teams to beer. But as well as being a popular symbol, the story of the thylacine is also a powerful reminder of how easily a species can be lost. 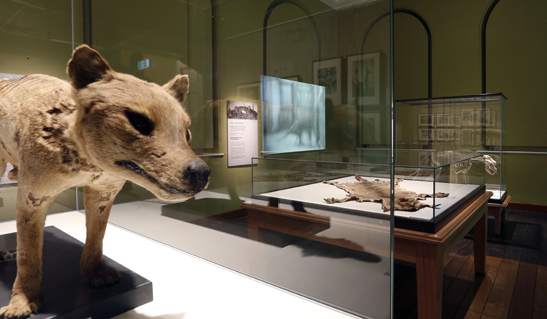 This gallery tells the story of the thylacine and its interactions with society through objects from the State Collection.